This special blend of white wheat flour produces hearty whole wheat breads, muffins, bagels and rolls that taste great and look delicious. 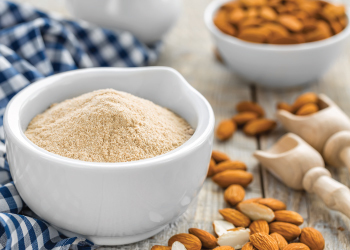 Honeyville's Ultra Grain Flour is milled from sound, scientifically cleaned and specifically selected white wheat to produce a premium quality patent flour. This special blend of flour produces hearty whole wheat breads that taste great and are highly nutritious. Ultra Grain hard whole wheat flour contains the bran, germ and endosperm in the same proportions as in the intact kernels from which it was processed. Honeyville Ultra Grain Flour is an ideal product for your baking needs. Shelf-Life: Ultra Grain Flour will store for 1 year in a sealed 50 pound bag under ideal storage conditions (cool, dry place). Uses: Ultra Grain Flour can be used to make breads, bagels, muffins, rolls and any recipe that requires whole wheat flour. 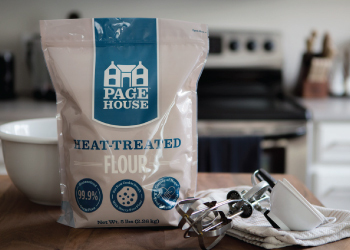 Packaging: Ultra Grain Flour in bulk is available in a 50 pound bag. Packaging may vary.